A Ballajura family has been left too traumatised to leave their home after TWO AMERICAN STAFFORDSHIRE TERRIERS escaped from a neighbouring property and attacked them in their front yard. Baria Tahir, 54, was knocked unconscious in the attack, and was saved from being mauled by her 11-year-old grandson. Her daughter, Menka Orelanna, said her two sons used a plastic garden chair and an umbrella to fight the dogs off. "We were screaming for help, but no one came," she said. 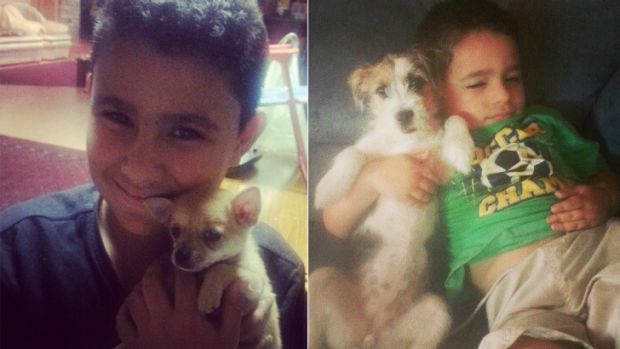 Ms Orelanna's three-year-old Chihuahua Pomeranian cross Oscar was killed in the attack, and five-year-old Jack Russell Maltese cross Ruby suffered severe injuries. The dogs involved in the attack were later seized by the City of Swan, and the council commenced an investigation. Ms Orelanna is still petitioning to make sure the animals do not return to the area, and said the attack had a serious effect on her family's mental health. "Mum is walking around like a zombie- she keeps crying all the time and she thinks that we need to sell our house and move," she said. "My children start school on Tuesday, and they haven't been out the front of the house since the beginning of the school holidays. "I don't want them to come back- they'll be within 50 metres of our front door... I don't want to live in fear." The City of Swan said the two dogs would not be released from the pound until strict conditions were met by the owners. "The dog owner will receive multiple infringements for dog attack and also incur impoundment costs, and the costs of complying with a dangerous dog declaration- this will amount to several thousand dollars in costs to the dog owner," a spokesperson said. "With no prior history of issues with the dogs or dog owner, and the significant wait times to have matters heard before the courts, the outcome identified balances the need to apply a penalty for the attack and to maintain community safety." Ms Orelanna said she had questioned the council about their decision not to pursue a destruction order. "The council said it was too hard to go to the court system to get a destruction order - especially when the owners won't surrender them," she said. "I understand - they're family pets - but we have children in this street. "Next time, it could be a child."